There are many players on the market for candy. Each brand fights hard for customer attention and runs large advertising campaigns to brand their products with the consumers. 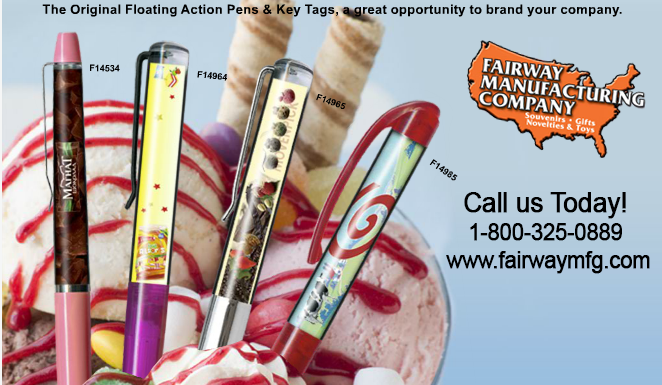 Home made candy makers could really get a boost from these great looking pens. Place an image of your product floating on one side and your company name on the other. It could be a scene like from Willie Wonka! The ideas are endless when it comes to whimsy and candy.